You read that right. Our Amazon Prime membership came up for renewal this October and we decided to cancel the subscription. Amazon Prime costs $99 per year, which works out to $8.25 a month. This makes up less than 0.2% of our annual expenses each year, so the annual cost of Prime membership is absolutely de minimis. Another way to think about the Prime membership cost is to look at how much money you would have in 10 years if you saved and invested the amount instead. I used our nifty Spend or Save Calculator to do the math, and it only adds up to less than $1,500 over ten years. As Frugal Hackers, we apply principles of Smart (or Pareto) Frugality to all of our expenses, and amassing $1,500 over 10 years is really not something worth optimizing for. Even after we figured that the cost savings are not worth it, we still decided to cancel the renewal. Why? What exactly are we giving up? My $10 Avocado Slicer, thanks Amazon Prime! When we first signed up for Amazon Prime, the only benefit we really cared about was the free 2-day shipping. 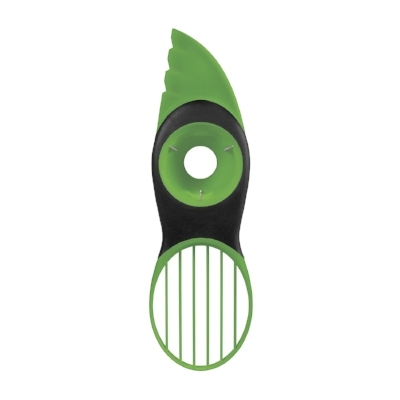 I saw a fancy Avocado Slicer in action at a friend's house, placed an Amazon order for $10 on our cell phone, and had the package delivered to my doorstep in a couple of days. Instant gratification! Receive all the benefits of Amazon Prime including FREE Two-Day Shipping for eligible purchases, unlimited streaming of movies and TV shows with Prime Video, and the ability to borrow books from the Kindle Owners' Lending Library for $99 a year or $10.99 a month. We also offer a Prime Video membership for $8.99 a month that only includes Prime Video as a benefit. I think of Amazon Prime as an All You Can Eat Buffet. One approach you can take is to consume every item in the buffet as much as humanly possible within a reasonable time frame. The other approach is to survey the offerings and only consume the items that give you maximum happiness. We took the latter approach to Amazon Prime, and the only benefits we really used over the last 12 months were the Shipping benefits. We use Netflix for TV Shows and Instacart/Costco for groceries because we like their catalog and product experience far better than Amazon for these niche areas. We already store photos on Google/iCloud/Dropbox and the hassle of moving all of our digital photos (~12 years worth) to a new service (Prime Photos) is just not worth the effort. How much did we really take advantage of the shipping benefits? In the first 9 months of 2017, we placed 12 orders between the two of us. None of the items were rush purchases that needed to arrive within two days. One of the ways we ensure that we don't buy junk we don't need is by letting items sit in the shopping cart for a few days. By injecting a waiting period between "I want that" and "I'm going to spend money on that," we filter out 100% of the items that are quick whims where the excitement dies down within 24 hours. Can we still buy stuff on Amazon without Prime? Of course! You receive free shipping if your order includes at least $25 of eligible items. Any item with "FREE Shipping" messaging on the product detail page that is fulfilled and shipped by Amazon is eligible and contributes to your free shipping order minimum. We have decided that we're okay waiting until our shopping cart reaches the $25 minimum and we're okay with regular USPS shipping. Besides, our building's mailbox situation is so complicated for delivery folks that most of the time, the two day shipping ends up taking a week. Those 2-day shipping grapes were probably sour anyway. Why is Amazon Prime important for Amazon? To explain why we cancelled our Prime membership, it's important to think about why Amazon Prime is so important from Amazon's perspective. Let's explore these two concepts in further detail. Recurring revenue is the holy grail for any business. I pulled up Amazon's 2016 Financial Statements from the SEC, and looked at their Revenue breakdown by product segment. Revenue from retail product sales grew 19% year-over-year from 2015 to 2016. This is impressive, especially since the growth percentage is on top of an already massive base. Then again, this is Amazon we're talking about. They're eating other retailers alive and this is their bread and butter. Right? Well, it turns out they're also massively growing another revenue stream. Amazon earned close to $6.4 Billion US Dollars through their subscription services in 2016 alone. Subscription revenue grew 43% year over year, from 2015 to 2016. Compared to 2014, Amazon earned 131% more revenue from its subscription services in 2016. These growth numbers are crazy. Subscription Revenue includes annual and monthly fees associated with Amazon Prime membership, as well as audiobook, e-book, digital video, digital music, and other subscription services. Why does Amazon do everything they can to keep you in their Prime program? You're contributing to that fast growing $6.4 Billion revenue stream. If Amazon makes money, it's because we, their customers, are giving them that money. Table from Amazon's SEC Filing: 2016 Form 10-K, Note 7 - Segment Information. Note that the Retail Products Revenue does not include Amazon's purchase price of the items they sell to consumers like us. For example, retail revenue in 2016 was $91B and cost of sales in 2016 was $88B. If we net out cost of sales from the revenue numbers, the subscription business (which includes Prime) stands out as a significant and lucrative cash generator for Amazon. The Sunk Cost Fallacy drives an emotional response to a situation that results in irrational behavior and decision making. The more you invest in something, the harder it is to abandon. At an all-you-can-eat lunch buffet that you've paid $20 for, you're going to want to eat your money's worth. In your quest to squeeze value out of every dollar you gave the restaurant, you end up over-eating and feeling bloated and uncomfortable at the end of the meal. The fact is you don't spend any less money by going overboard and ending up in a food coma: you've still spent $20 on the meal. After a certain point, eating more food might actually cost you more through increased discomfort. Similarly, since you've already paid $99 for your Prime Membership, you are more likely to exhibit behaviors that allow you to recoup the cost of the membership in the form of benefits. Unlimited two-day shipping? You've got to buy that $10 Avocado Slicer right now. Free Prime Video? Hey babe, want to marathon the next season of Suits this weekend? Amazon Prime Day? This $300 food processor (original price $450) is a steal deal thanks to Prime, we must get this before the deal expires. Each time you make a decision to justify the $99 membership, you're doing exactly what Amazon wants you to do. When given the option between Amazon and someone else, you're also much more likely to choose Amazon even if it's not the best option available. Take that a step further, you won't even think to explore other options to evaluate if Amazon gives you the best bang for your buck. Not having unlimited free 2-day shipping helps us make better buying decisions. We think about each purchase more meticulously by building a system that prevents impulse buying. Amazon Prime is a platform for the company to monetize us for products and services we don't really need. We want to kill the root cause of any poor decisions that happen due to sunk cost fallacy. For example, just because free restaurant delivery is available thanks to our $99 Prime Membership, we don't want to spend money on that. By building a restaurant delivery habit instead of cooking at home, each $30 meal will cost us far more in the long run than the annual $99 spent on Prime membership fees. We make all of our purchases based only on value for money. We have made the conscious decision to exhibit no brand or store loyalty. If we can get the same value elsewhere for cheaper, we will always pick that option. We use Camelizer to compare average prices on Amazon over time, look up the same product(s) on competing websites such as Walmart/Instacart/Costco/Target/local grocery store, and pick the option with the highest value for money. We will continue to use Amazon.com to buy things whenever we need them, but we're no longer proud Amazon Prime members. That $99 a year, including all the extra expenses not incurred by buying books (instead of renting for free from the library) or food from restaurants (via Amazon Restaurants) will be going to our Wealthfront investment account instead. Bye bye saved money, see you in 10 (or 15) years!